A roundup of events throughout the Affiliate network from December 2014 – February 2015. 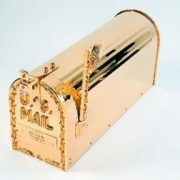 U.S. mail box, plated with 24-karat gold and studded with 137 sapphires, 100 rubies, 25 diamonds, and 10 emeralds, on view at the Tellus Science Museum. The Museum of Flight opened SITES’ Suited for Space in Seattle, 12.13.14. National Museum of the American Indian curator Cecile Ganteaume will present a keynote talk at a three-day program on American Indian basketry, hosted by the Northwest Museum of Arts and Culture in Spokane, 2.26.15. National Air and Space Museum curator Andrew Johnston served on a jury panel for an upcoming exhibition on the cosmos at the Annmarie Sculpture Garden and Art Center in Solomons, 12.16.14. The Reginald F. Lewis Museum for Maryland African American History and Culture will host a screening of the Smithsonian Channel’s new documentary The Legend of Leadbelly with a talk by Smithsonian Folkways Recordings producer Jeff Place in Baltimore, 2.5.15. The Museum of American Finance presented Smithsonian Board of Regents member David Rubenstein with the Whitehead Award for Distinguished Public ServiceÂ and Financial LeadershipÂ at its annual gala in Manhattan, 1.13.15. The Smithsonian National Board enjoyed a private tour of the Museum of American Finance, as well as a performance by a jazz ensemble organized by the National Jazz Museum in Harlem in Manhattan, 1.22.15. Former Supreme Court Justice Sandra Day O’Connor will talk about Women of the West at the Heard Museum in Phoenix. The Heard MuseumÂ opened Beautiful Games: American Indians in Sports including two paintings on loan from the American Art Museum, 12.18.14.Â The Heard Museum also hosted a public program entitled What It Means to be American: The Women of the West, co-created by the National Museum of American History,Â 1.14.15.Â Kevin Gover, director of the National Museum of the American Indian, will deliver a keynote lecture as part of the Indigenous Stereotypes in Sports symposium at the Heard Museum in Phoenix, 1.30.15. The Riverside Metropolitan Museum opened SITES’Â I Want the Wide American EarthÂ in Riverside, 12.20.14. The Sonoma County Museum will open SITES’ Indivisible: African-Native American Lives in the Americas exhibition in Santa Rosa, 1.24.15. The Sam and Alfreda Maloof Foundation for Arts and Crafts will announce their Smithsonian affiliation with a lecture by Nora Atkinson of the American Art Museum in Alta Loma, 1.24.15. The Mennello Museum of American Art will open the Real Lives: Observations and Reflections by Dale Kenington exhibition which includes one painting on loan from the American Art Museum in Orlando, 1.23.15. Conner Prairie will host a lecture by National Air and Space Museum curator Tom Crouch on ballooning in the antebellum Midwest in Fishers, 1.28.15. Smithsonian Undersecretary for History, Art and Culture Richard Kurin will give a public lecture on his book The Smithsonian’s History of America in 101 Objects at the U.S. Space and Rocket Center in Huntsville, 1.29.15. The Telluride Historical Museum will host a film screening and viewing of student projects in relation to theirÂ Places of InventionÂ project with the Lemelson Center for the Study of Invention and Innovation, in Telluride, 1.13.15. 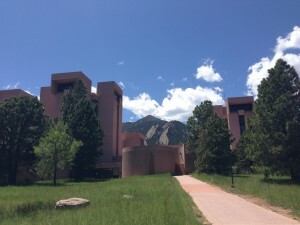 The University Corporation for Atmospheric Research will announce its Smithsonian affiliation with comments from Affiliations program director Harold Closter in Boulder, 1.29.15. History Colorado will open the exhibition 1968: The Year that Rocked America with loans from the National Air and Space Museum and the National Museum of American History.Â The Museum will open a complementary exhibition, El Movimiento, to include comments from Eduardo DÃ­az, director of the Smithsonian Latino Center, in Denver, 2.6-7.15. The Museum will also host a screening of the Smithsonian Channel’s new documentary The Legend of Leadbelly with a talk by Smithsonian Folkways Recordings producer Jeff Place in Denver, 2.19.15. The African American Museum in Philadelphia will host a screening of the Smithsonian Channel’s new documentary The Legend of Leadbelly with a talk by Smithsonian Folkways Recordings producer Jeff Place in Philadelphia, 2.12.15. The Heinz History Center will also host The Legend of Leadbelly screening in Pittsburgh, 2.18.15. 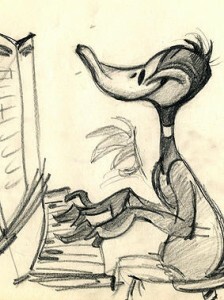 One of Chuck Jones’ drawings, soon to be on view in San Antonio. The Forth Worth Museum of Science and HistoryÂ opens SITES’ What’s Up Doc? The Animation of Chuck Jones exhibition in Fort Worth, 2.14.15. The Institute of Texan Cultures opens the Sikhs: Legacy of the Punjab exhibition organized by the Smithsonian, in San Antonio, 2.21.15. The Las Cruces Museum System will host the outreach and professional development program Let’s Do History in collaboration with the National Museum of American History, in Las Cruces, 2.19-20.15. Congrats to these Affiliates makingÂ news! Â Each month we highlight Affiliate-Smithsonian and Affiliate-AffiliateÂ collaborations making headlines.Â This is a compilation of clippings from mid-November until early-January. If you have a clipping highlighting a collaboration with the Smithsonian or with a fellow Affiliate you’d like to have considered for the Affiliate blog, please contactÂ Elizabeth Bugbee. â€œHands-on engagement is a really great way to foster creativity and innovative thinking,â€ says Maria Mingalone, the director of interpretation at the Berkshire Museum. 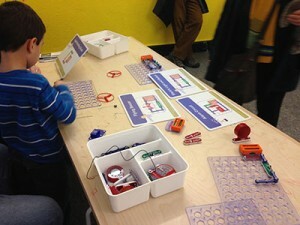 â€œSo thatâ€™s really the aim and the goal of our Spark!Lab.â€ Developed at the Smithsonian Institution, the program features 10 hands-on laboratories for kids 5 or youngerâ€¦but if youâ€™re older, theyâ€™ll let you in. We were thrilled to take advantage of this exciting educational opportunity and to show that our Smithsonian affiliation is a tremendous boon, not only for the Springfield Museum of Art but for the Springfield community as a whole,â€ Housh said. Tellus also received for display from the Smithsonian Air and Space Museum a real lunar module engine which was test fired by the space agency in Mississippi in 1972. The lunar module was used to taxi two astronauts to the Moon’s surface and back from the command ship soaring in lunar orbit. But the idea behind it â€” and the other 46 pieces in the touring exhibit drawn from the Smithsonian National Museum of Natural Historyâ€™s collection â€” was to show how simple materials can be transformed into remarkable treasures with artistic skill and ingenuity (oh, and bling â€” canâ€™t forget the bling). â€œSidney Mobell honored the life of his wonderful wife Ronni Grant Mobell with the donation of 19 of his famous jeweled art creations to the Smithsonian. Since that time in addition to the installation of a Mobell jeweled art collection display at the National Museum of Natural History in Washington D.C., Mr. Mobellâ€™s exhibit has traveled to Smithsonian affiliate museums in Florida, [Louisiana and] Kentucky. 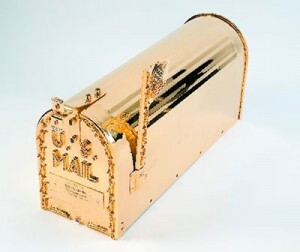 San Francisco jewelry artist Sidney Mobell created this U.S. mail box, plated with 24-karat gold and studded with 137 sapphires weighing 48.20 carats, 100 rubies weighing 24.50 carats, 25 diamonds weighing 2.25 carats, and 10 emeralds weighing 1.75 carats. Itâ€™s on view in the exhibit â€œJeweled Objects of Desireâ€ at Cartersvilleâ€™s Tellus Science Museum. Mobell’s pieces on exhibit were donated by him to the Smithsonian National Museum of Natural History and are on loan to Tellus as part of the Jeweled Objects of Desire exhibit. The exhibition features gems and jewelry from other artists represented in the Smithsonian’s collection such as Aldo Cipullo and John Sinkankas. Tellus has been a Smithsonian Affiliate since opening in 2009. Weâ€™ve been affiliates of the Smithsonian for over five years now,â€ Tellus Executive Director Jose Santamaria said. â€œWeâ€™ve developed a good relationship, not just with the Smithsonian in general, but with Jeff. Our former curator, Julian Gray, and Iâ€ˆhave visited him a couple of times to review items to put on display here at Tellus. We actually have a pretty large, significant exhibit opening up in a couple of weeks because of collaborating with him. The full exhibition will include students from other Wabanaki communities and promote increased interest, awareness and knowledge of astronomy content and Wabanaki oral histories. 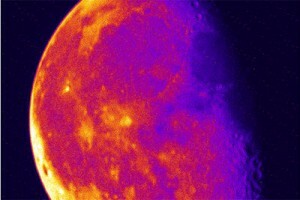 The Abbe is partnering with the Indian Township School to offer the opportunity for students to research, learn, and photograph the cosmos using telescopes owned and maintained by the Harvard-Smithsonian Center for Astrophysics. The museum is also now officially a Smithsonian Affiliate, allowing it access to the Smithsonian Institute’s vast array of resources, including its unmatched artifact collection, which houses 136-million cultural and historical artifacts. A recently acquired affiliation with the Smithsonian also boosts MoADâ€™s draw. This association with the venerated national museum center will allow MoAD to present significant traveling shows and to access the Smithsonian collection for exhibits and research. Central to that initiative is the museumâ€™s new status as a Smithsonian Affiliate. Partnering with the powerful Washington, D.C., institution will give MoAD access to the Smithsonianâ€™s enormous resources and expertise. Benefits include touring exhibitions, object loans, and visiting scholars and speakers. The advantages are mutual. â€œWeâ€™re very interested in having a presence with this museum in San Francisco,â€ said Laura Hansen, national outreach manager for Smithsonian Affiliations. 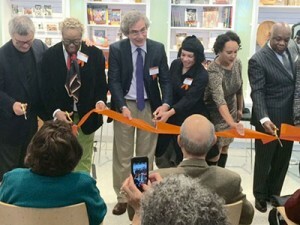 (From left) Wade Rose, Linda Harrison, Alejandro de la Fuente, Lava Thomas, Naomi Kelley, Willie Brown cutting the ribbon at the Museum of the African Diaspora (MoAD). 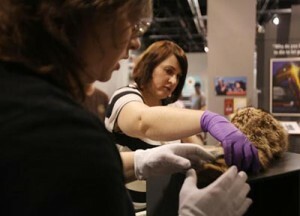 Three Alaska women have been laying their guts out at the Anchorage Museum this week. Literally. Mary Tunuchuk, Elaine Kingeekuk and Sonya Kelliher-Combs have been working with animal intestines to make traditional items and contemporary art in a weeklong residency in the Smithsonian Arctic Studies Center that winds up today. 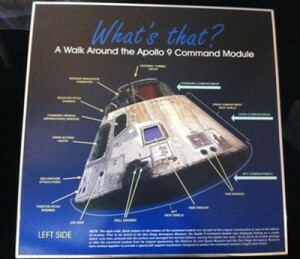 The Command Module, Apollo 9 (Gumdrop) is on loan to the San Diego Air and Space Museum from the Smithsonian National Air and Space Museum. Just as this Orion launch is a precursor to returning people to deep space, so the San Diego Air & Space Museum’s Apollo 9 spacecraft was a vital stepping-stone for astronauts to land on the moon in the summer of 1969. Now operated as a non-profit corporation overseen by a board which includes the founder’s daughter, Elaine Meyer, the Museum of Appalachia recently was accepted into the Smithsonian Affiliation program, an acknowledgement of its importance to preserving the history of mountain pioneers. The kick-off event January 14 will feature former Supreme Court Justice Sandra Day O’Connor and Anna Maria Chavez, CEO of the Girl Scouts Of The USA, at the Heard Museum, a Smithsonian affiliate in Phoenix. Music icon Eddie Van Halen will headline the next event at the National Museum Of American History in February. 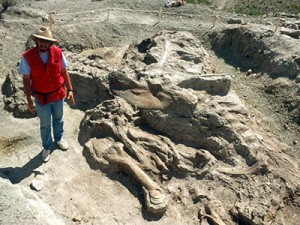 As fantastical as the Jurassic Park movies are, thereâ€™s a real scientist behind the franchise â€“ Jack Horner, a paleontologist at Museum of the Rockies, who not only served as scientific adviser on all four films, but also helped inspire the character of Dr. Alan Grant, played by actor Sam Neill. We spoke with Horner, 68, about making dinosaurs from mosquitoes and what to expect from Jurassic World. The museum, which opened in 1979 and has been a Smithsonian Institution affiliate since 2001, is undergoing its first renovation and expansion. New features include new classroom space, a maker space, updated exhibits for school groups, activities for adults and opportunities for teacher professional development in hands-on science education. The first affiliate of the Smithsonian Institute is right here in Seattle. The Wing Luke Museum of the Asian Pacific American Experience offers a unique perspective into the historic and cultural impact of the Asian Pacific community in the Northwest. The museum opened in 1967, named in tribute to Wing Luke, the first person of color elected to the city council, and the first Asian American elected to public office in the Pacific Northwest. They set to work, researching to identify as many made-in-North-Carolina films as they could. The oldest one they found was â€œThe Heart of Esmeralda,â€ a silent film from 1912. Then they started borrowing artifacts such as the coonskin cap worn by Fess Parker in 1955â€™s â€œDavy Crockett, King of the Wild Frontier,â€ which is on loan from the Smithsonian in Washington, D.C.
Curator Dwight Blocker Bowers shares the story of Davy Crockett’s coonskin cap, now on view in Starring North Carolina! at the North Carolina Museum of History, a Smithsonian Affiliate museum. The space exhibit is just the first project in the Smithsonian affiliation, but its impact so far is exceeding even Halverson’s expectations. “Now the Space and Rocket Center is interested in hosting this exhibit, so the momentum that gets created when these collaborations occur, that is just so powerful,” she said. https://affiliations.si.edu/wp-content/uploads/2015/01/headleywhitney-1659c-300x252-1.jpg 252 300 Elizabeth Bugbee https://affiliations.si.edu/wp-content/uploads/2019/03/si_Affiliations_rgb_single-line_color-280w-1.jpg Elizabeth Bugbee2015-01-06 15:54:032017-03-10 17:50:49Affiliates in the news! HistoryMiami (Miami, FL) has been awarded $150,000 by the Knight Foundation as one of the 2014 South Florida Knight Arts Challenge Winners. The award will be used to tell Miami stories through images by creating a photography center at the museum focused on curating exhibitions and engaging the community in documenting life in South Florida. The Justice Planetarium at the Kansas Cosmosphere and Space Center (Hutchinson, KS) will undergo a $400,000 renovation in February, thanks to contributions from the Walter E. & Velma G. Justice Fund for Reno County and from Dave and Dee Dillon. Senator John Heinz History Center (Pittsburgh, PA) has been awarded a $100,000 grant from the Allegheny Regional Asset District board. The funds will be allocated for general operating expenses. The Reynolds family and Reynolds Farm Equipment have donated $1 million to Conner Prairie Interactive History Park (Fishers, IN). The Reynolds family placed no restrictions on its use but the museum has mentioned they will use the funds towards a future project. Pacific Aviation Museum Pearl HarborÂ (Honolulu, HI) received a $1.5 million grant from the Emil Buehler Perpetual Trust. The gift combined with the recent $550,000 State of Hawaii Grants in Aid allocation and a $100,000 grant from the Freeman Foundation will be used for interior restoration of the iconic Ford Island Control Tower Operations Building. The United States Army Heritage and Education Center (Carlisle, PA) will be the recipient of a $2 million state grant, recently awarded to the Army Heritage Center Foundation.Â The funds will be used to add 37,000 sf to the visitor center. Snug Harbor Cultural Center and Botanical Gardens (Staten Island, NY) will receive $7.43 million from New York City’s capital budget, for the continued restoration of its Music Hall. Heard Museum (Phoenix, AZ) – $10,000 to support Free Summer Sundays in July, a multidisciplinary program featuring Latino and Native American musicians, dancers, and storytellers. City of Dearborn, Michigan– $10,000 to support the architectural design and related community engagement and outreach for the development of an artist-in-residence unit in the City Hall Artspace Lofts. Facilitated by Artspace Projects Inc., the project will include all design stages for the renovation and adaptive reuse of a unit in the concourse of the existing Dearborn City Hall, as part of a larger development of cultural facilities and space for artists and arts organizations, including the Arab American National Museum. City of East Lansing, Michigan– $30,000 to support the Great Lakes Folk Festival produced by the Michigan State University Museum. Snug Harbor Cultural Center and Botanical Gardens (Staten Island, NY)- $10,000 to support residencies for emerging artists and related activities. Residents will live and work alongside established faculty artists with diverse backgrounds and practices. 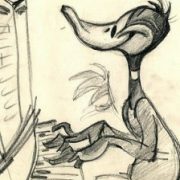 The project will focus on performing artists. International Storytelling Association (on behalf of the International Storytelling Center) (Jonesborough, TN) – $15,000 to support Storytelling Live!, a series of residencies for master storytellers. The program will showcase storytellers representing a broad range of oral traditions from all over the world. In addition to storytelling, the master artists will offer workshops and present special programs intended to serve seniors and youth. Florida International University (Miami, FL)-$6,000 for improving the storage environment of The Wolfsonianâ€“FIU Collection.Â Evaluating the existing environmental control systems inside the historic buildings would help the museumâ€™s staff better care for this unique collection. Stearns History Museum (Saint Cloud, MN) – $1,000 forÂ NEH on the Road: For All the World to See.